Dr. William Standish Reed was founder of the Christian Medical Foundation and a leader in the charismatic movement since its inception. As a medical doctor and speaker, he contributed significantly to the concept of medicine for the whole person, integrating medical science and Christian faith. Dr. Reed was an active member of the Episcopal Church, the Order of St. Luke, Camps Farthest Out, and was director of the Full Gospel Business Men’s Fellowship from 1961 to 1971. Dr. Reed was a founding member of the Tampa Oratorio Society, and a symphony violinist and violist. The collection reflects his participation in these and other organizations. The initial deposit of materials for the William Standish Reed, M.D. Collection was received in May 2009, and comprises over 9000 audio and video recordings of messages by a broad variety of prominent leaders in the charismatic movement from 1950 to 2007, including recordings of Dr. Reed’s appearances on the 700 Club. As primary source materials, recordings of prominent Pentecostal and Charismatic leaders have been digitized for research purposes. This audiovisual collection has been inventoried to the item level in a searchable database. 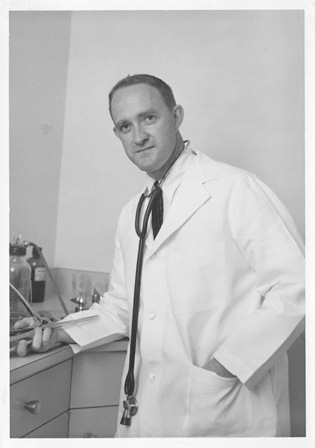 Following his passing, additional materials were added to the collection including copies of books authored by Dr. Reed, files of documents and records, correspondence, medical instruments, awards, and a variety of memorabilia from Dr. Reed’s personal, professional, and ministry activities and travels. The collection also includes selected books from Dr. Reed’s extensive personal library, journals kept by Dr. Reed, and family photo albums, scrapbooks and genealogical information. The A/V collection, books, and personal papers of Dr. Reed represent a major expansion of Regent University Library’s Pentecostal Research Collection, in addition to a significant research core on Healing and the Holy Spirit.